Anyone close to the world of outsourcing deal-brokering and performance measurement has been exposed to the infamous "B" issue. Benchmarking is a misused and misunderstood tool in outsourcing. Almost everybody’s contract has a provision for benchmarking, and in almost all cases it drives the wrong behavior for both parties. A good benchmark (and there aren’t many good ones out there) can be a valuable tool to start a conversation, yet our industry tends to use them as the end of a conversation. Benchmarking data is only useful in the context of a Market Intelligence Program. HfS Research defines a Market Intelligence Program as a coordinated set of insights, professional networks data sources, industry research, and processes that give outsourcing buyers a complete, accurate view of their deal relative to the industry. Unfortunately, I’ve seen clients artfully leverage expensive benchmarks to unwittingly reduce the value proposition they are receiving from their providers. I’ve seen well-intentioned providers ruin large relationships over benchmarking result disputes. Most often, I see the clause that cost hundreds of hours and thousands of dollars to negotiate be ignored in full or in part. So clients and providers spend lots of time and money (and “relationship capital”) arguing over the minutiae of a provision that isn’t likely to ever be used, and is even less likely to be implemented if it ever is used, and if accepted could have the exact opposite result it was intended to have! The obscure methods of the benchmarking industry and the motivation of some individuals or groups to debunk results do little to help. Credibility of benchmark results seems to be at an all time low, and nobody seems to be capable of accurate BPO benchmarking. For these and many other reasons, users must tread carefully to get value from their efforts. 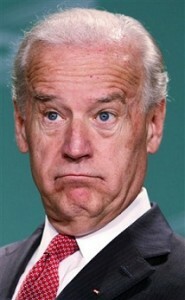 Joe can provider an excellent benchmark for being a non-entity of a politician!